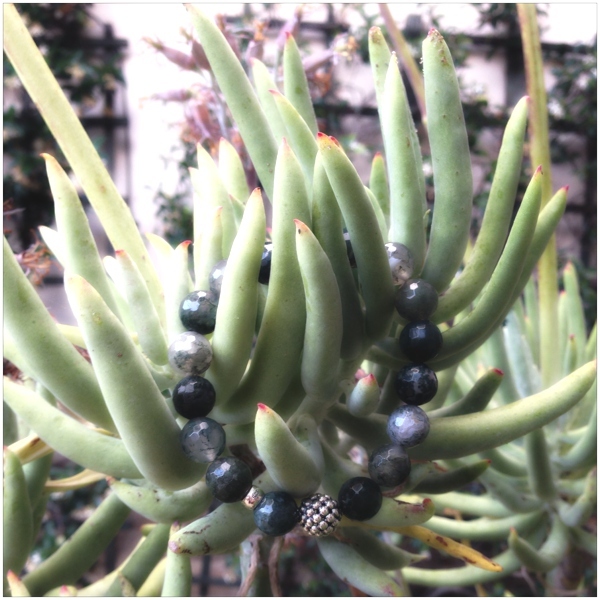 My friend Natasa, who lives in La Jolla, just send me the pictures of the green beaded bracelet we got from Lagos Jewelry . It looks just amazing! With all the tropical palm prints everywhere and green shades making a come back, it is the perfect addition to this season’s summer essentials. The tropical heat wave has arrived, again. I am obsessed with palms trees. 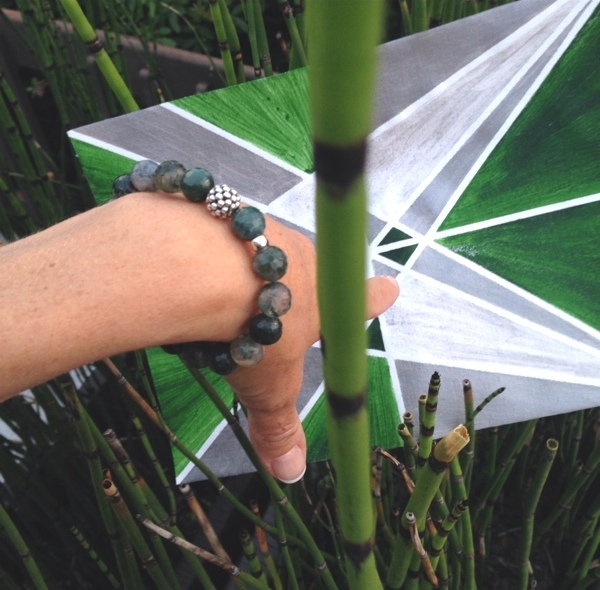 Steven Lagos started Lagos in 1977 and their jewelry has a strong understated lasting power. 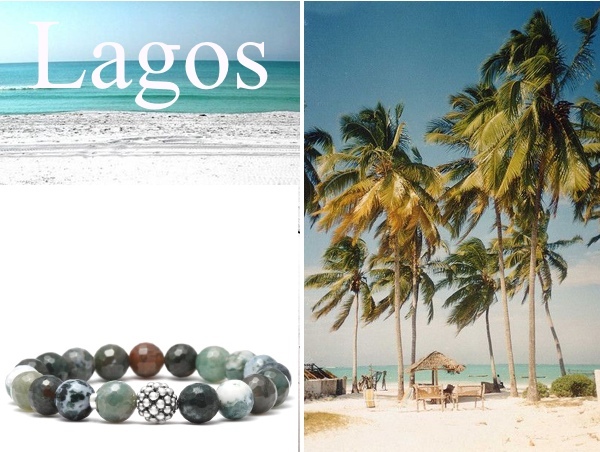 Lagos has a wide range of exclusively designed bracelets, necklaces and earrings. I love their signature caviar-like beading which brings lush texture to sterling silver and a uniqueness to this bracelet. 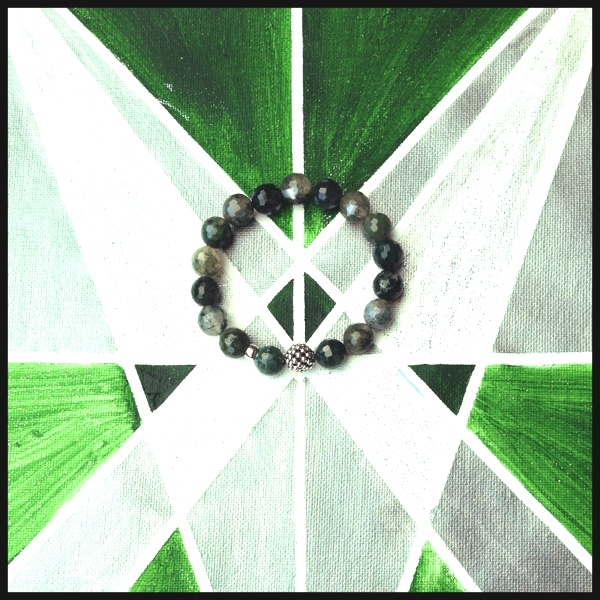 The green gemstones range from 9 to 10mm and the stretch fit accommodates most wrist sizes. I asked Natasa how she would style it… Oh so different than me.